This infographic was crafted with love by Officevibe, the platform foremployee pulse surveys to measure and improve your company culture. El renacer de la "ciudad–estado"
Los círculos concéntricos… el encanto de lo pequeño gestionable y como su réplica alrededor (cómo los círculos concéntricos de una muchas piedras cayendo en el agua) podría ser una nueva forma de solidaridad sin naciones (nacionalismos) que la impidan. The alternatives we’re moving toward, I’d like to suggest, will for many reasons bear more than a passing resemblance to what we’ve already seen—cities emerging as the most salient unit of physical and political organization; self-governing, economically independent, and culturally unique. In short, we’re due for the rebirth of the city-state. …city-states and national boundaries can coexist, as historical example shows: In the 15th–19th centuries, trade along the northern coast of Europe was dominated by the Hanseatic League, a sophisticated commercial network of almost 200 cities in what are now 16 countries, which included pacts for mutual defense against interference by rival powers. Taken together, these trends point to a picture of the city as a more insular ecosystem than we’re used to experiencing — on a physical level at least—where we’ll try to keep as many urban life support systems inside it as possible. Building daily-use objects in our own homes, claimed Anderson in a talk he gave as part of the Long Now Foundation’s seminar series, will “reverse the arrow of globalization,” halting the constant search for lower labor costs involved in the race-to-the-bottom of outsourced manufacturing, and bring in a renaissance of small-batch fabrication. Like local energy production, it will also steer cities toward self-sufficiency, as the convenience of either making goods yourself or obtaining them from a fabbing workshop across town will outweigh the cost of shipping them in from elsewhere. If the above turns out to be true, the effects of the shift will run deeper than just the way we physically organize our cities. To borrow from the always-relevant doctrine of Karl Marx, a change in the dominant mode of production that underpins a society will inevitably alter the social structure itself, giving birth to new forms of social relations while sweeping aside the old. For the next few hundred years it’s improbable that we’ll see the death of the nation-state altogether, but the power of cities both large and small is in the ascendant, and they will almost certainly move closer to self-governance. Don’t waste time customizing a cover letter. Don’t waste space stating the obvious. Give your résumé a meaningful file name. @isidremch, director del Master “ei” de la UV (Universidad de Valencia) presentó hace casi una mes el interesante estudio sobre la capacidad de innovación y el desempeño económico de la empresa valenciana entre 2007 y 2014. Se puede encontrar el estudio en pdf en este enlace. 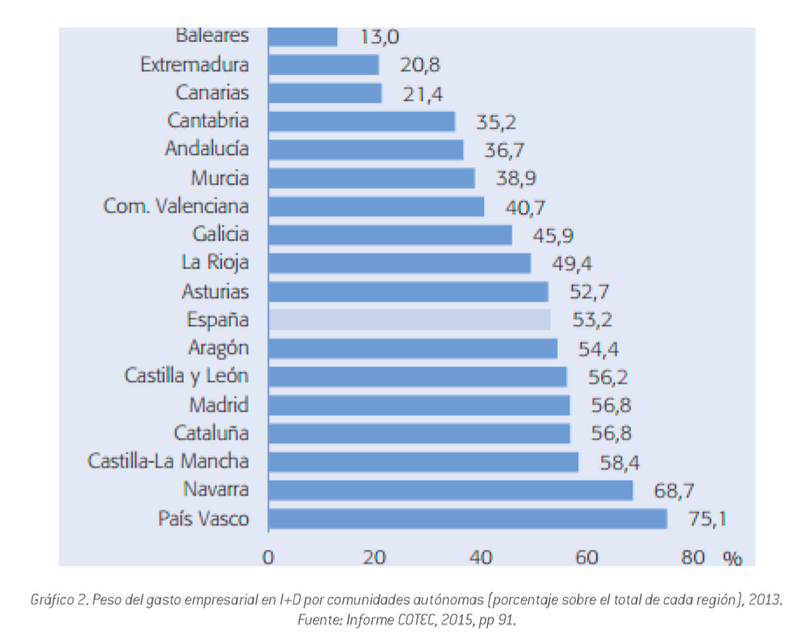 El primer dato importante que cabe resaltar es que el gasto en i+D en la comunidad valenciana está en undécimo lugar entre las 17 comunidades autónomas. 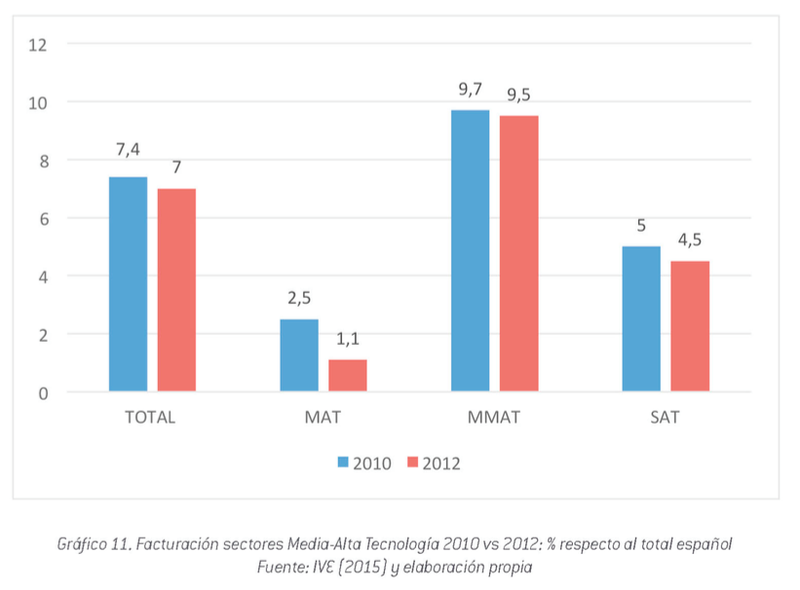 de 14 comunidades estudiadas), casi 13 puntos por debajo de la media nacional. También es relevante, por lo negativo (aunque no sorprendente), que la crisis redujo o paralizó la inversión en I+D de forma mucho más mucho más terrible en la PYMES que en las grandes empresas. 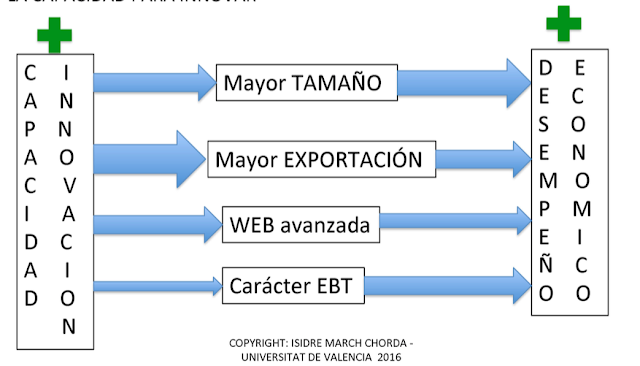 Y que aún nos queda mucho recorrido para cambiar el modelo productivo en la Comunidad Valenciana a la vista de los sectores de la Alta tecnología y el descenso de su facturación. Sin embargo, a pesar de estos aspectos negativos, se puede destacar de los resultados del estudio que la mayor capacidad innovadora conlleva un mejor desempeño económico. Pero la estrategia de innovación es defensiva, principalmente, en las PYMEs y micro-empresas, permitiéndose una estrategia ofensiva únicamente las grandes empresas. 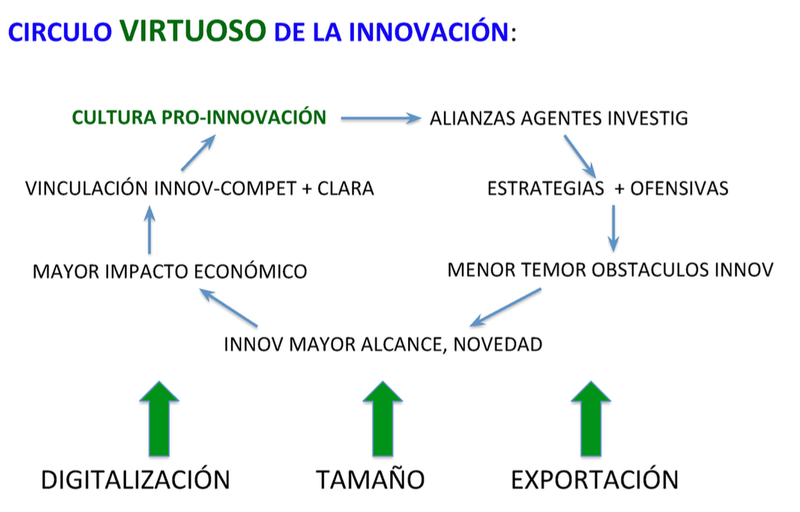 De ahí se deriva, sin duda la directa relación entre innovación y productividad. 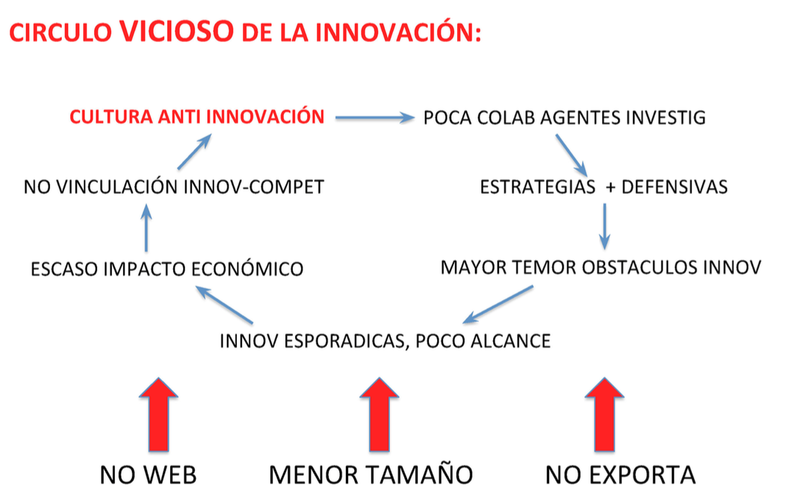 Las empresas que apuestan por innovar pagan más de media a sus empleados y ese coste va en aumento, frente al menor coste por empleados de las empresas que innovan, lo que se refleja igualmente en las citadas estrategias de innovación. 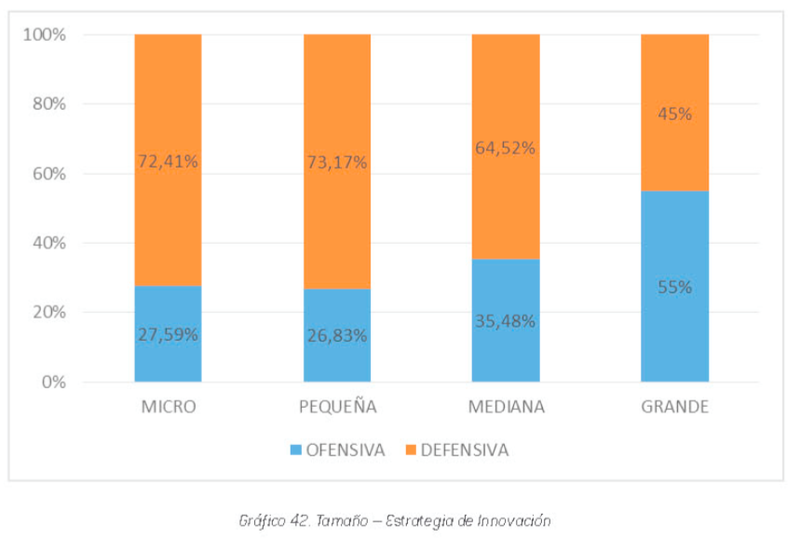 Se derivan del estudio 2 círculos de la innovación, que impactan en el desempeño económico según el que se adopte. 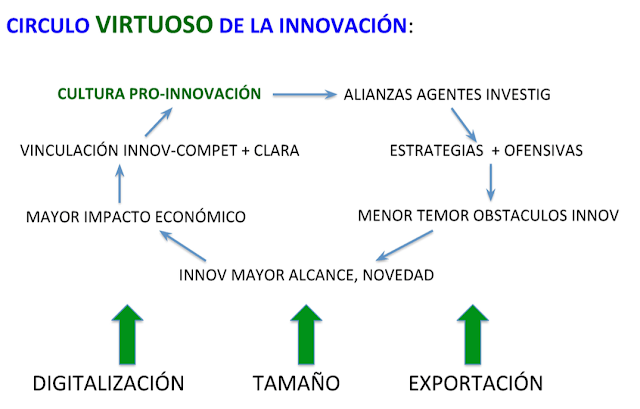 Estos factores suponen en definitiva un perfil muy significativo de nuestras empresas ante la innovación. 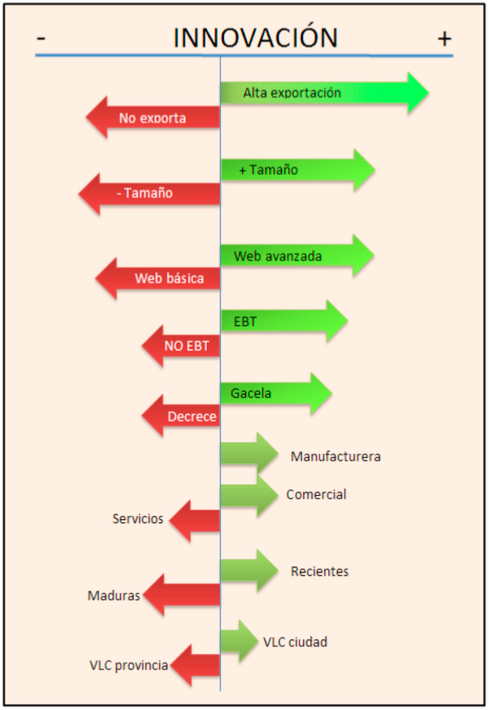 • Que en el período final de la recesión económica se ha mantenido la productividad del factor trabajo y han mejorado ligeramente las tasas de rentabilidad de las empresa valencianas. • Aunque las empresas del sector servicios destacan por su mayor dinamismo en empleo y facturación, este avance no se acompaña de una mejora en sus ratios de rentabilidad. 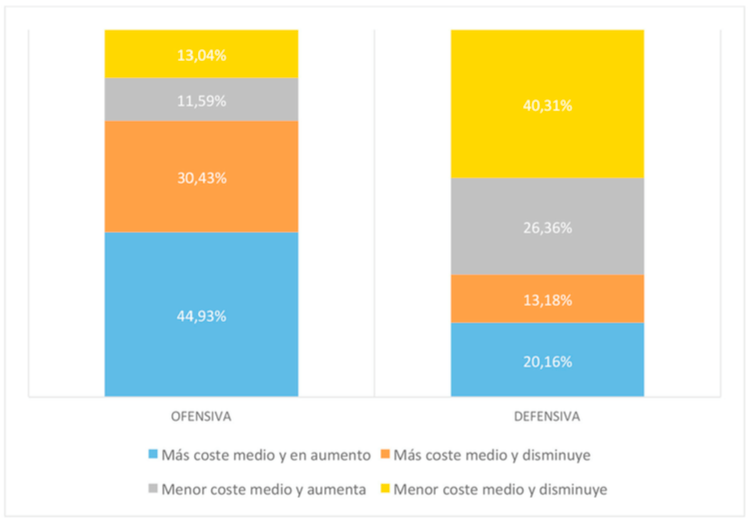 • Las EBTs (Empresas de Base Tecnológica), que predominan en el sector servicios son de reciente creación, y aunque crecen en empleo y facturación no lo hacen en rentabilidad (soportando un coste de personal superior al resto en relación a sus Ingresos por Explotación). En definitiva muestran indices de innovación por debajo de lo que cabría esperar de ellas en comparación por ejemplo con la industria manufacturera (que se apoya también en mayor exportación). • La relación entre productividad y remuneración, indicada anteriormente, tiende al alza a medida que las empresas se consolidan con el paso de los años. • El estudio corona la propensión exportadora como una de las joyas para alcanzar un buen desempeño económico.Si aumenta la propensión exportadora, disminuye el coste por empleado en relación a los ingresos por explotación y aumenta el “coste medio por empleado” y la rentabilidad. Factores que se refuerzan si las empresas son EBT y tienen un comportamiento Gacela (tienen un ROA –Return on Assets– positivo). En definitiva, el estudio constituye un sólida base sobre la que construir una amplia batería de propuestas que eleven la capacidad, eficiencia y rendimiento de la innovación en las empresas valencianas. PD. Todas las imágenes de la publicación o de la presentación del Profesor Isidre March, de la UV. Vision is very important, he believed -- and so is operational excellence. 3. Don't separate the vision from the operations. … Understanding that happiness does not always lead to having engaged employees will also help you put the right perks in place. … A growing startup needs to increase its efficacy without losing its capacity to adapt. And a big company facing disruptions needs to increase its adaptability without diminishing its efficacy. In other words: startups need to become more robust; big brands needs to become more resilient. Why are so many companies in a bad shape nowadays? Because they were designed in a simpler word and are too much focused on the efficacy side of the trade-off. Startups and big companies face the same challenge: understanding the relationships between complexity, predictability and adaptability. As the complexity of our world increase, our ability to predict it diminishes and the need to be more adaptable increases, which implies giving more autonomy to workers. …the limits of a very efficient system: the rivalry between the specialization and departments which obstruct the information flow, the delay induced by the classical chain of command, the lack of the big picture by soldiers & intelligence specialists and correlatively the lack of understanding of the real issues on the ground by the commanders, etc. … So the answer is to create a team of teams, a network of relationships, where one team member knows at least someone in the other teams. This enables a good communication flow and creates a shared consciousness across the organization. …You also need to empower every team member. This shared consciousness has to be tied with an empowered execution: McChrystal’s rule of thumb was : “If something supports our effort, as long as it is not immoral or illegal, a soldier could do it.” This is very close to the US NAVY’s practice of command-and-control, called “Command by Negation,” which stated that any subordinate commander have the freedom to operate as he/she thinks best, keeping authorities informed of decisions, until the senior overrides a decision. They use the acronym UNODIR (Unless Otherwise DIRected). Machine learning offers the promise that a lot of very large and very boring analyses of data can be automated - not just running the search, but working out what the search should be to find the result you want. That is, the eye-catching demos of speech interfaces or image recognition are just the most visible demos of the underlying techniques, but those have much broader applications - you can also apply them to a keyboard, a music recommendation system, a network security model or a self-driving car. Maybe. And that's what any 'AI' short of HAL 9000 really is - the automatic pilot, the automatic spell checker, the automatic hardware configuration, the automatic image search or voice recogniser, the automatic restaurant-booker or cab-caller... They're all clerical work your computer doesn't make you do anymore, because it gained the intelligence, artificially, to do them for you.